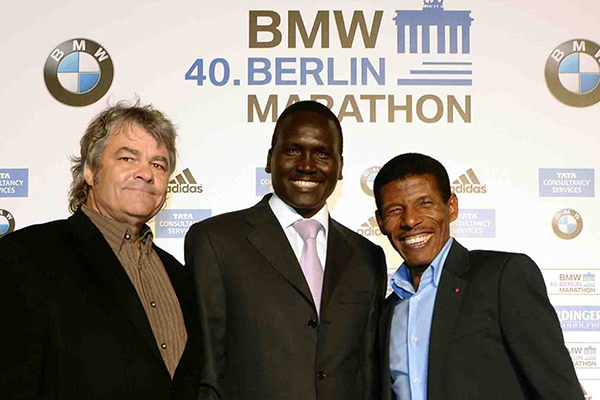 Marathon geographer Sean Hartnett, who’ll be tracking race pace carefully on the road from Hopkinton to Beantown on Monday, crafts illustrated maps of the world’s top marathon performances. 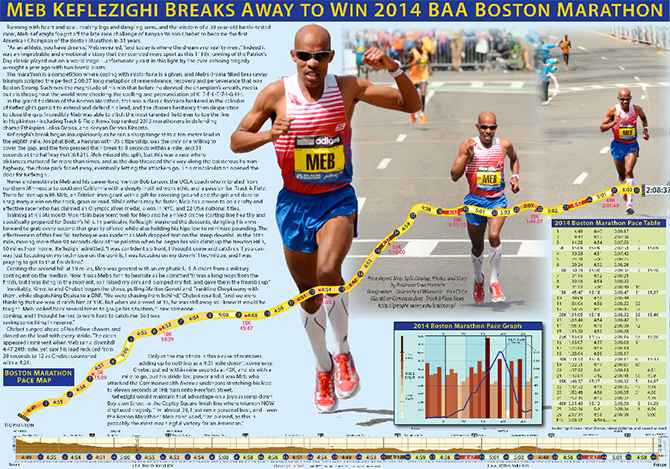 Here’s Hartnett’s detail-rich topographical account of Meb Keflezighi’s stunning, inspirational ’14 victory. 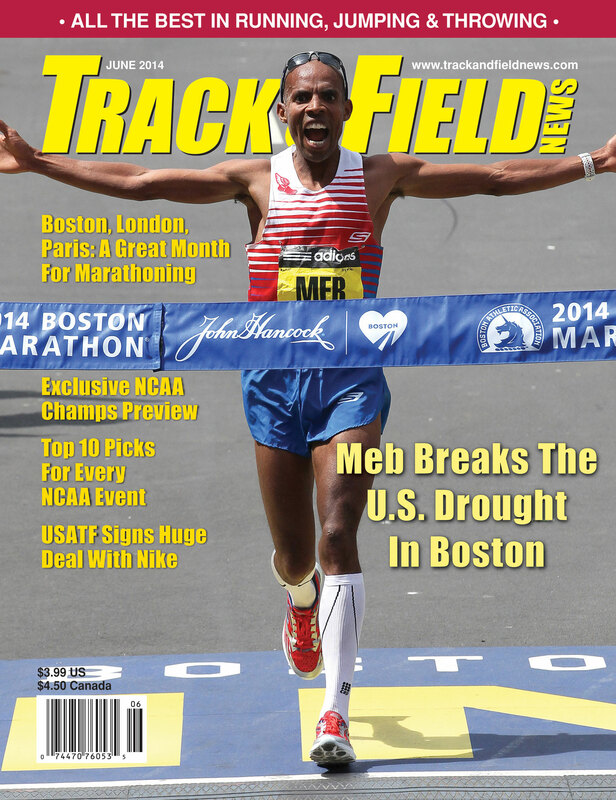 Meb, incidentally, will be honored as the 2019 event’s Boston Grand Marshal, 5 years on from the win that scored Keflezighi his second T&FN cover. 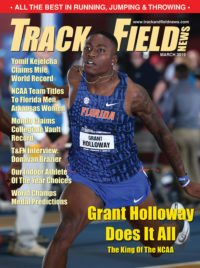 Previous: Previous post: 2019 NCAA Men’s Formchart #1 — Another Trophy For Florida?